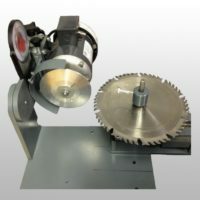 The ultimate sharpening system for fabric, industrial, household, groomers, hair salon sheers and more. This clamp is designed for sharpening convex edge beauty scissors. The ultimate in sharpening technology for the world’s finest scissors and shears. 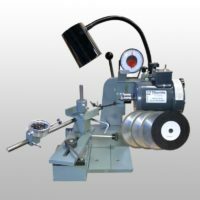 This professional scissors sharpening machine has the ability to sharpens fabric, industrial, household, groomers, hair salon sheers and much more. Professional gold scissors sharpener includes a 800 grit diamond wheel and a pressed composite polishing wheel. 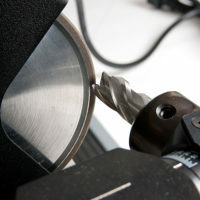 A supplied polishing compound with the polishing wheel creates a mirror finish with a razor sharp edge. 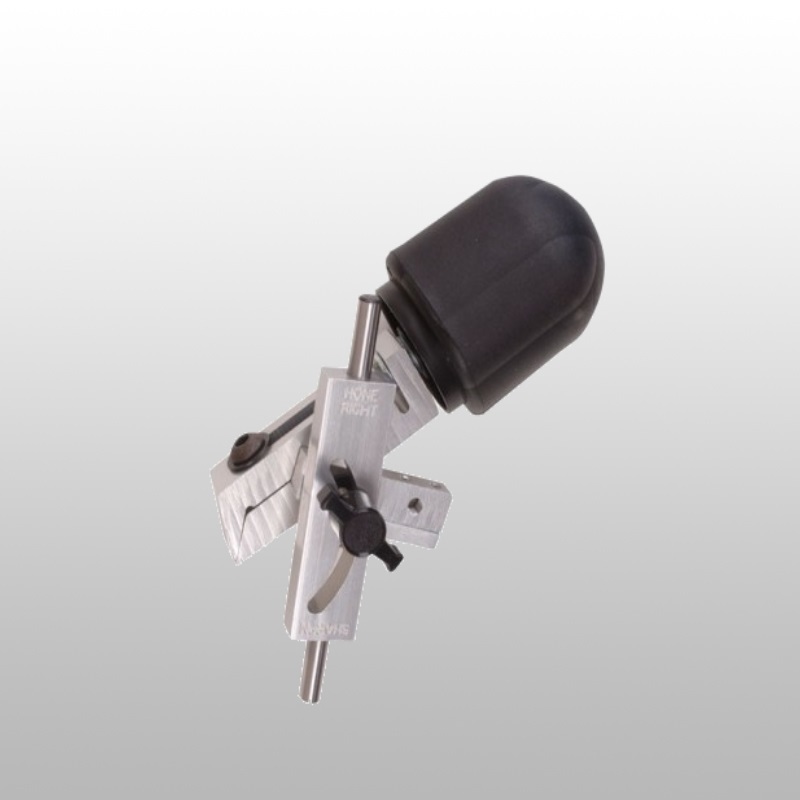 The honing block kit helps to re-create the inside ride line of the shear. 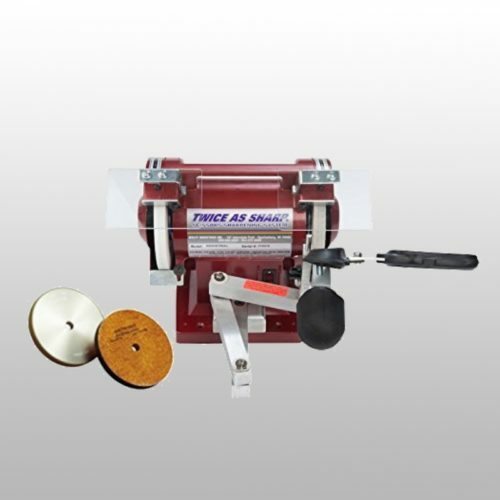 An assortment of other supplies are included for sharpening grooming, barber and salon shear. 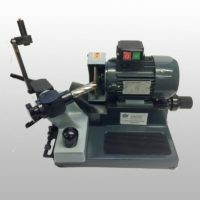 Also include is an aluminum oxide sharpening wheel and a standard polishing wheel for the household, industrial and fabric shear industry. 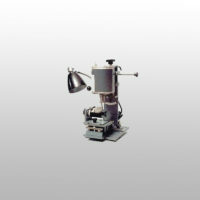 Price includes detailed written instructions, informative training DVD and unlimited customer service. These step by step training aids will teach you how to properly sharpen shears and produce quality results. Add the convexing clamp for sharpening the high-end convex shears.